Friends of Renee – To raise cash to help Renee and Ugo meet their financial burden &raise awareness of Lyme disease, which is the fastest growing infectious disease in the United States. CERRITOS, CA (smt)- So Karen F thought UConn sounded like a cool name and she rode that to winning the 20th HWCI NCAA pool among some crazy games in the tournament. IUPUI sounds cool to me but I don’t think I could pick them to win if they ever get back in. But she did keep the streak alive of someone in our pool picking the correct champion, making it 16 years in a row. She was also one of a handful of players who skipped 2013 (2nd year, ’11) and included Bing F (9th year, 1st since ’09), Bar L (8th year, 1st since ’09 and 1st not nicknamed Indy), Nikki N (10th year, 1st since ’09 and 1st not including Bluestars in the nickname), Brian Z (9th year, 1st since ’10 and still named Zippy), Ken G (7th year, first since ’10), Don M (6th year, 1st since ’11). In our 20 years, we have seen some crazy plays and games that have affected our pool. CERRITOS, CA (smt)- The veteran starting lineup of #7E-UConn, some who stayed on despite the Huskies being banned from postseason last year, came out hungry against the all-freshmen starting lineup from #8MW-Kentucky jumping to a 30-15 lead and eventually hanging on to a 60-54 victory. 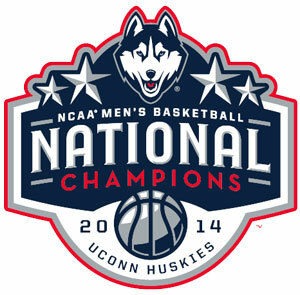 The Huskies never trailed in winning their 4th title (the same number as Duke! ), all in the last 16 years and two years removed from retired coach Jim Calhoun and one year removed from a postseason ban due to academics. While UConn was a perfect 10/10 from the charity stripe, Kentucky bookended 6/7 by missing 7 of their first 13 free throws and their last three (including a front end of a one-and-one). Senior Shabazz Napier, while taking some ill-advised or quick shots, scored 22 pts and had 6 rebounds as he was one of the few who stayed on through the postseason ban. This capped a wild tournament partially aided by bad seeding by the selection committee and that sometimes, just the name on the shirt (with a little luck) is enough to propel you to the finals. Halftime: UConn built a 15-point lead at 30-15 giving Badzy a great chance for 1st but at the half, Kentucky had cut the deficit to 4 (35-31) bringing Bigtenfan2 back into the mix. One of these 2 will win our 20th HWCI NCAA Pool. 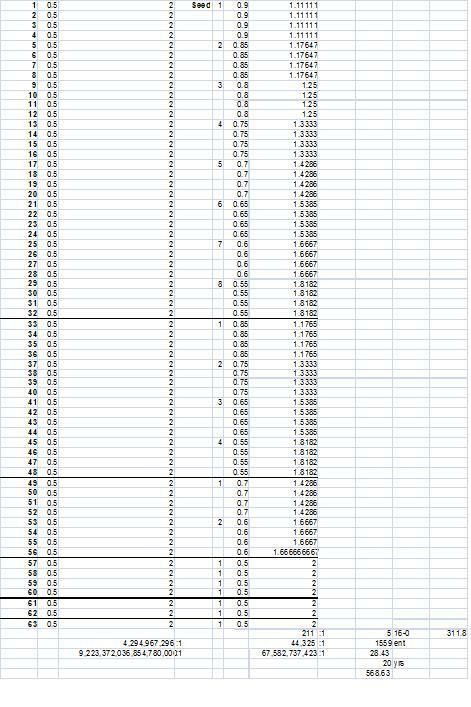 As for the Bonus, the 66 combined projects to 132 which would give LuckyNumberSlevin the $40 bonus. Start 2nd: Kentucky has trailed or been tied at the half in 5 of the 6 tourney games and we know how the other four ended up. And a 3 puts the Wildcats within one. 18:05: Geez, another monitor review. Boy, dunks are hard for UConn. 15:14: UConn just up by 1 (37-36). Slow going, projecting to 117 which would Coach K’s Recruiters the Bonus. 12:45: UConn dunk blocked again! Kentucky needs to hit their free throws (6 of 13 while UConn is perfect 6-6). UConn 41-37. 10:40: Kentucky’s first field goal in almost 5 minutes, still trail 48-42 (after made free throw). The 90 combined points is about 120 at end of game which would give Pinkocean the Bonus (and her 2nd bonus). 9:00: UConn’s Boatright’s injured. Timeout. UConn leads 48-45. Still on track for 120 pts. 7:54: Since I harped on their free throwing, Kentucky has hit 6 of 7 to pull within 1 (48-47). 6:00: Back to back 3’s put UConn back up by five 54-49. Kentucky still has never led. 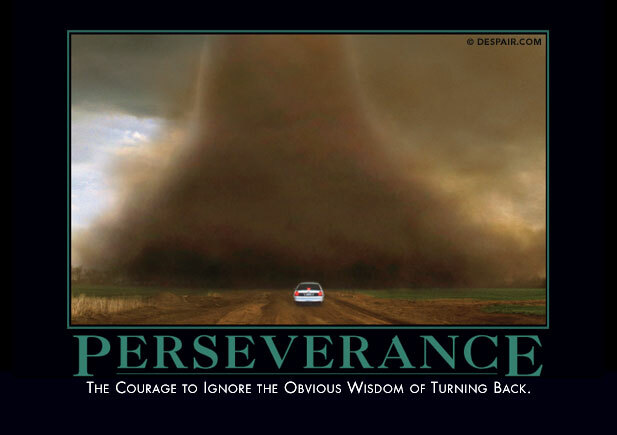 3:47: Kentucky had hit 7 of 8 free throws but have now missed 2 in a row (including the front end of a 1-on-1). They get 1 more trailing 56-52 (and he missed). Amazingly, still projecting to 120 pts. 1:49: UConn slowing things down, Kentucky missing shots. Now a key offensive rebound as the Huskies try to hold a 58-52 lead. Now we’re projecting to 115 pts which would give Elizabeth the Bonus. 25.1: UConn still hasn’t missed a free throw today (10/10) leading 60-54. 0.0: Boy that last 25 seconds was a blur, before you knew it the game was over as Kentucky, for once, couldn’t get a late 3 to fall. UConn are your champions and Karen F (Badzy) is our HWCI NCAA Pool champion! She is our 5th female champion and first since 2010. The 60-54 victory means 114 is our total points in final. So Elizabeth W (Elizabeth) wins the Bonus! So who wins 6th? 0.0: With Badzy out of the way and the low total points total, Rick F (Fabio) easily won the tiebreaker to take 6th, leaving Paul T (The Downtown Fiction) and Don M (Wooden-Soldier) penniless. Benjamin D (Bigtenfan2), Randy E (Hawkeye), Ken B (Beyond Elite 8), and Eric F (ShivaBlast) each dropped a spot to claim 2nd/3rd/4th/5th. A record 138 entries start strong, fizzle at end ROSEMEAD/CERRITOS, CA (smt)- Two teams people would associate with titles made the final, but this year UConn was a #7 seed and Kentucky was a #8 seed. Both teams didn’t win their conference title nor tournament (both were 12-6 in conference play). Yet they’ve outlasted an undefeated team, last year’s champion and dark horse, curious seeding, high number of close games, and lengthy monitor replay delays. The Wildcats have not only had a difficult route to the final (beating 3 of last year’s Final Four teams including undefeated Wichita St) but they have also closed out five straight close games, thanks to Aaron Harrison’s clutch 3-point shooting in the final minute. The Huskies were nearly upset in overtime in their first game and then proceeded to knock off the #2, #3, and #4 seeds in the East before finally snapping #1 overall seed Florida’s 30-game win streak thanks to incredible free throw shooting. Kentucky and their fab five starting freshmen are 3 point favorites. Interestingly, UConn was 2-0 vs Florida while Kentucky was 0-3. Bigtenfan2 is still holding on to 1st while 8 are “guaranteed” with a chance to finish in money FOUNTAIN VALLEY/ROSEMEAD, CA (smt)- The UConn Huskies have Florida’s number. The Gator’s 30-game winning streak came to a screeching halt bookended by losses to the Huskies four months apart. The last #1 seed to fall made UConn the first #7 seed in the championship. The Huskies 63-53 win, led by DeAndre Daniels 20 points and 10 rebounds, means they are now 7-1 in the Final Four and will try to win their 4th title in 16 years. FLORIDA, UCONN, KENTUCKY - BUT THIS YEAR? CERRITOS, CA (smt)- Well, we were denied the first 40-0 team but we do have a team on a 30-game win streak that went undefeated in the SEC (1st team to do so) in Florida. They are joined by their SEC brethren Kentucky, who matured over the tournament in winning four straight close games by a combined 17 points and beating 3 teams from last year’s Final Four. Could they meet in the final? Bigtenfan2 is our leader but can’t get any more points CERRITOS, CA (smt)- Two Big Ten Michigan-based schools fell while the only 2 teams who have won 3 titles in our HWCI NCAA Pool era advanced to the Final Four. #7E-UConn rode the home away from home Madison Square Garden crowd to a 60-54 victory over #4E-Michigan St to reach the Final Four for the fifth time since 1999 (but their previous 4 trips have come from the West Region). UConn once again was unstoppable from the free throw line, hitting 21 of 22. Hard to believe UConn is back in the Final Four a year after being ineligible for the post-season and two years after Jim Calhoun left. Once again, a dumb foul on a 3-point attempt sinks a team, and this time it allowed UConn to push the lead from 2 to 5 (hitting all 3 free throws) sealing the win. Bigtenfan2 is our new leaderCERRITOS, CA (smt)- #1S-Florida used a 19-3 run to end the first half in coasting to a 62-52 win over Cinderella-wannabe #11S-Dayton. It’s the Gators first Final Four appearance since 2007 when they won the back-to-back championships. Close calls in the final 3 seconds (a charge and a 50/50 ball out of bounds) put the refs center stage but #1W-Arizona failed to get a shot off in time in losing for the 4th time in the Elite 8 in this same Anaheim arena (’98, ’03, ’11). #2W-Wisconsin’s 64-63 thrilling overtime win sends them to the Final Four for the first time since 2000. The 1 vs 2 matchup lived up to they hype. Beyond Elite 8 goes 3-1 but Hawkeye holding on9 MILES FROM 5.1 EPICENTER, CA (smt)- For all the talk of the narrowing of the gap between the elite traditional teams and the mid-majors, it’ll be #7E-UConn (2 titles, 4 Final Fours since ’99), blue-blood #8MW-Kentucky (3 titles, 5 Final Fours since ’96), and #4E-Michigan St. (1 title, 6 Final Fours since ’99) going to the Elite 8 and not better seeded #3E-Iowa St, #4MW-Louisville (despite being defending champion), and #1E-Virginia. Those traditional elite teams played clutch down the stretch while the three losers committed costly turnovers, took bad shots and missed key free throws. UConn hit 11 of 12 free throws in the last 47 seconds, Kentucky hit 6 of 7 in the last 2:12, and Michigan St. hit 5 of 6 (before missing the last one intentionally) in the last 33 seconds to seal their wins. 52 go 3-1 but Hawkeye remains in first CERRITOS, CA (smt)- The selection committee wanted this and they got the 4th go-around between #1S-Florida and #4S-UCLA and for the fourth time, the Gators won. It was very odd in the atmosphere of the arena as even when the Bruins were making a run cutting a 11-point deficit to one, the crowd never got behind the underdogs. To cap off a bad day for SoCal, #1W-Arizona held off #4W-San Diego St. with a late surge. In the battle of double-digit seeds, #11S-Dayton is the lone mid-major in the Elite 8 holding off #10S-Stanford (the Pac 12 went 1-2 today). The Flyers avoided the home game in the First Four and will face the Gators. #2W-Wisconsin won handily over #6W-Baylor, holding them to 16 points in the first half and will face the Wildcats. 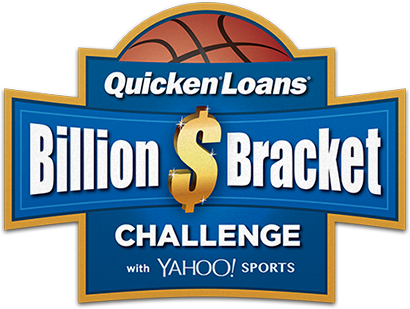 And may the odds be ever in your favor!CERRITOS/EL SEGUNDO, CA (smt)- After just 32 games, much less the 48 that have been played already, no one in the Warren Buffett-insured Quicken Loans Billion $ Bracket Challenge was perfect. Of course, the odds up to the start of the Round of 32 was still 4,294,967,296 (4.2 billion) to 1, not accounting that each game has a different probability of winning (e.g., the 4.2 billion assumes each game has a 50/50 chance of either team winning but we know, for example, the #16 seed has basically >1% chance). So try beating 9,223,372,036,854,775,808 to 1 (9.2 quintillion) to get all 63 games correct (that number is greater than the national debt of $17,560, 724,125,874 (17.5 trillion). Even if you were to weigh each game (e.g., #1 has 90% beating #16, #2 85% over #15, #3 80% over #14, etc. 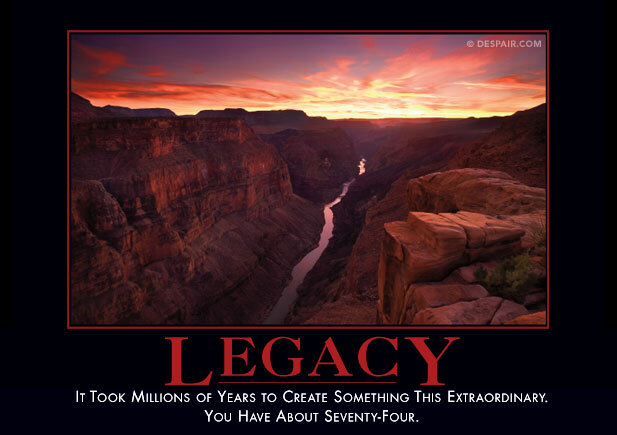 ), you still would be about 70 billion to 1. And for the first 32 games, it’s about 45,000 to 1 (very reasonable and has happened (not in our pool) quite a few times in the past in other national pools). Over 20 years, we’ve had only 1,559 entries which means sometime in the next 569 years we will have our perfect 32-0 bracket! If the games were split evenly over the first two days (e.g., two #1 seeds play Thursday, two on Friday), then weighing the probabilities, it’s only 211 to 1 to be a perfect 16-0. And in our pool, we’ve had 5 perfect 16-0 entries (including 2 this year) which means our actual ratio is 312 to 1, which is close to 211 to 1. Don’t you love it when the math works out? Anyway, if you had gone 48-0 by now, the odds are only 1 in 32,768 or if weighted, as good as 1 in 4,114 (it’ll be higher because not all #1, #2, #3, and #4 seeds will make the Sweet 16) to complete the perfect bracket. Seems reasonable. So, if I had a hot tub time machine and was able to tell myself how to pick the bracket to get to 48-0 to be on my way to a Billion Dollar bracket, here are 16 pieces to the puzzle. Chalk. Start with all the favorites (seed-wise). There were only 14 upsets of the 48 games. Hawkeye now up by 6 and has 70% chance to win money CERRITOS, CA (smt)- Two long winning streaks were snapped while the Pac 12 sent 3 teams to the Sweet 16. The conspiracy of getting rid of a strong mid-major (#1MW-Wichita St) worked on the first try as #8MW-Kentucky survived a potential buzzer beater to send the Missouri Valley champions home with their first loss (35-1). #4S-UCLA snapped Stephen F Austin’s 29-game win streak and was 1 of 3 Pac 12 teams to qualify joining #10S-Stanford (who upset #2S-Kansas – so it’s moot when Joel Embid will return) and #1W-Arizona. #1E-Virigina, #11MW-Tennessee (the First Four winner), and #6W-Baylor all won easily. GoGoGodzilla is perfect 8-0 but Hawkeye has 5 point lead ALHAMBRA/CERRITOS, CA (smt)- #1S-Florida won its 28th straight game and kept the SEC unbeaten (5-0, 4-0 not including First Four). Meanwhile, #3S-Syracuse’s 25-0 start was a lifetime away as the Orange lost their 6th game in their last 9 games falling to #11S-Dayton. The Flyers may have trouble putting games away but Tyler Ennis (of 3-pt buzzer beater vs Pitt fame) of Syracuse hogged the ball in the last seconds taking an ill-advised long jumper down by 1 and then when only down by 2, taking a off-balance long 3-pointer with a few seconds left. As a team, Syracuse was 0-10 from 3-point range and 1 for 19 outside the paint. #5MW-St. Louis also went 0-fer from 3-point range (0-for-15) in losing to #4MW-Louisvlle. #4W-SDSU, #2MW-Michigan, #2W-Wisconsin, and #4E-Michigan St all played tight games before pulling away comfortably late. #7E-UConn put on a show putting away #2E-Villanova.